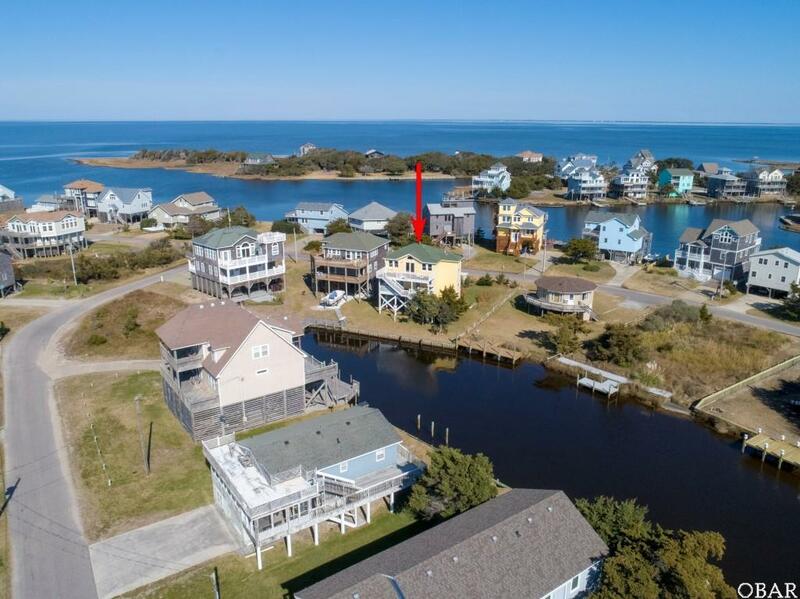 Bring the boat, SUP and kayaks and launch in the backyard from this well maintained canal front in Frisco. Built by Archie Morris for the current owners, this home offers exterior walls with 2 x 6 construction and 5/8" CDX plywood for stability. 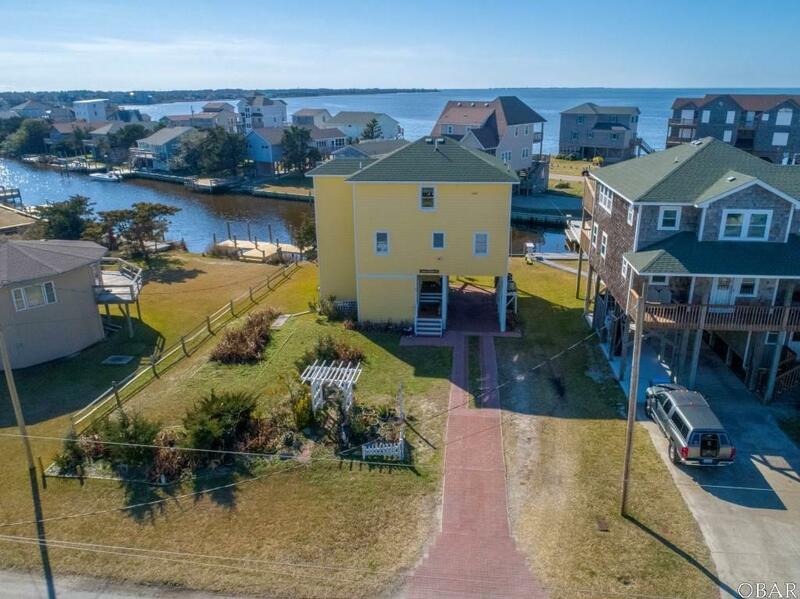 The owners have an extensive list of updates over the past few years that include appliances, water heater, flooring (entire house), updated bathrooms, painting, one HVAC unit, house wired generator, some windows, exterior deck staining and more. Although not in a rental program and never rented, a rental projection is listed in associated documents. The ground level offers brick pavers, exterior shed and outdoor shower. As you enter there is a bonus room, laundry area and additional storage. The mid level has 4 bedrooms and two bathrooms. If a true master suite was desired, the 4th bedroom could potentially be converted into a master bath/walk-in closet. 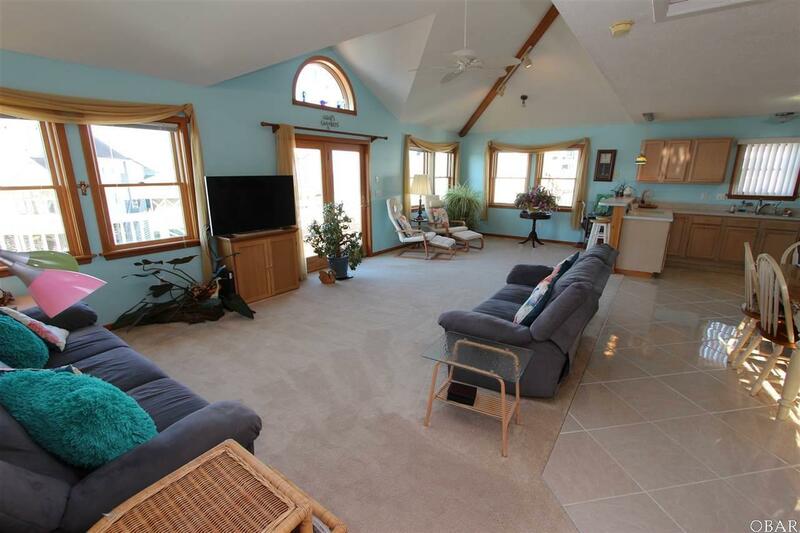 The top level is very open with vaulted ceilings and excellent water views. 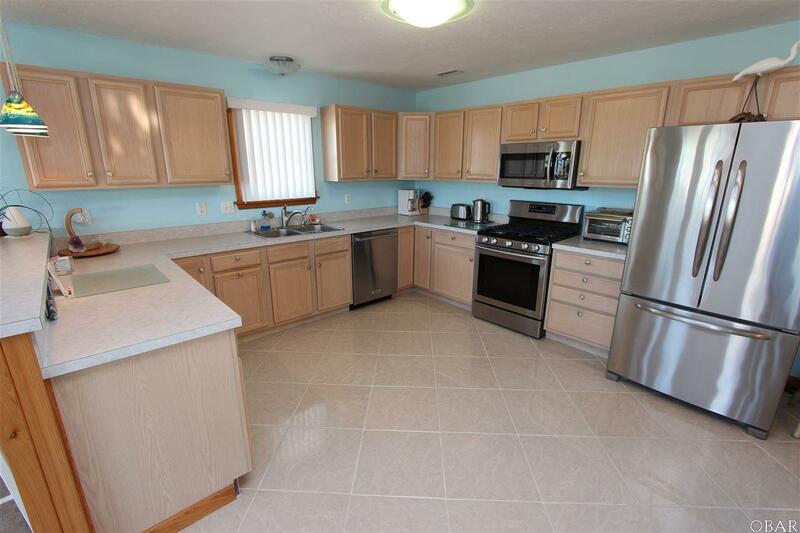 This home shows great and is ready for new owners!